Bees are a diverse and fascinating group of insects, with approximately 20,000 species worldwide. The vast majority of these species are wild and relatively understudied in comparison to managed bees like the honey bee. Some wild bee species are documented to be declining in abundance, though the conservation status of most species remains unknown. Bees are arguably the largest and most important group of pollinators, and changes in their populations can affect the reproduction of both wild and crop plants. Our research on wild bees focuses on three broad areas, 1. Enhancing our understanding of wild bee ecology, behavior, and life history, 2. Investigating the effects of disturbances on wild bee communities, and 3. Examining interactions between wild bees and the plants that they pollinate. Below are some of our ongoing research projects. Bees are intimately linked to their food source, flowering plants. We are interested in exploring how floral resource availability measured at different spatial scales, from patches to landscapes, structures bee communities. Our work in this area also includes investigating the best plants for different generalist and specialist bees with the goal of informing bee conservation efforts. Current projects in this area include comparing resource value and attractiveness of native and non-native ornamental plant cultivars (funded by the Jacksonville Zoo and Gardens), and investigating how invasive flowering trees impact plant-pollinator networks, native plant pollination, and pollinator health. Research projects in this field explore pollinator community responses to disturbances at the behavioral, population, and community level. We also investigate how responses vary with pollinator life-history traits, disturbance intensity, or landscape context. A current project in this area is examining how the timing of prescribed burns (e.g. dormant, transition, and growing season burns) affects plant and pollinator phenology with consequences for plant pollination success. ​Bees make foraging decisions that are influenced by their resource requirements and by plant characteristics. Our work in this area focuses on elucidating the floral traits that mediate plant-pollinator interactions including the quantity and quality of floral rewards, and visual and olfactory cues. 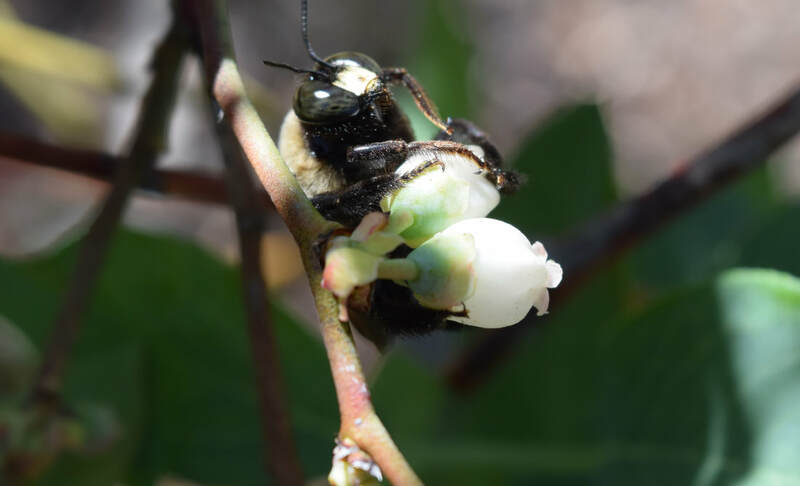 We are furthermore interested in how variation in floral traits across plant genotypes and environments affects bee behavior, and how bee behaviors influence plant pollination, Currently, we are examining variation in floral traits across southern highbush blueberries and how this variation affects pollinator recruitment (funded by a UF IFAS Early Scientist Grant). Both wild and managed bees are important pollinators of crops such as fruits, vegetables, and nuts. We are interested in quantifying the contributions of different bees, identifying effective species, and informing recommendations to enhance pollination. Additionally, we explore the relative effects of pollinator diversity on pollination rates, and investigate the mechanisms underlying diversity-function relationships. 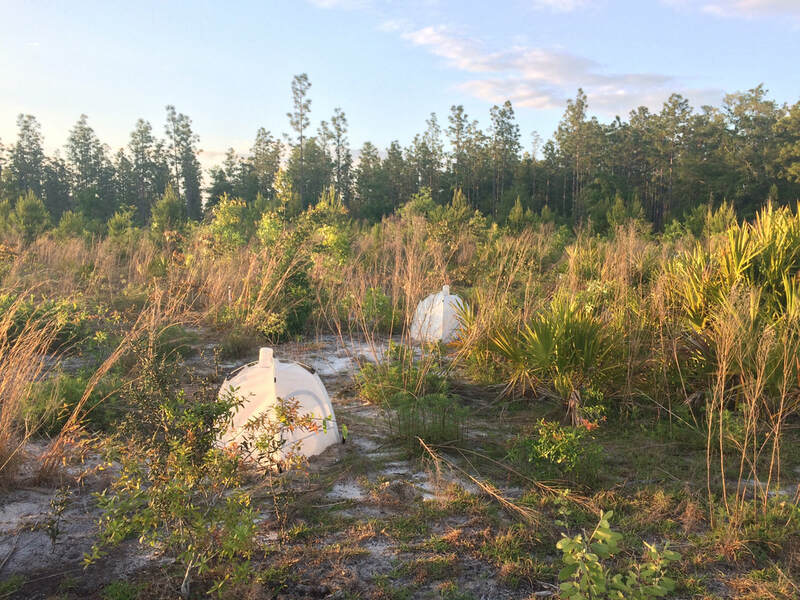 Currently, we are examining management decisions that can optimize pollination of blueberry crops in Florida (funded by a UF IFAS Early Scientist Grant), and are exploring pollination requirements and pollen limitation in Florida's winter strawberries.